Web performance tools rely on actual browsers to capture the performance data of a webpage and any requests made by a webpage. Monitoring from the browser, comes with some limitations due to the complexity of the browser and the internet, causing at times what we call “Blind Spots”. A “blind spot” occurs when the data provided by a tool lacks clarity. The main “blind spot” with external monitoring is that you cannot always distinguish between network and application performance. 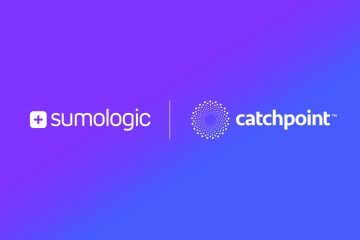 At Catchpoint we introduced Catchpoint Insight and other features to remove this limitation and facilitate the understanding of the performance factors. Recently we came across another “blind spot” related to monitoring tools built on top of Internet Explorer. We internally refer to it as “Objects in IE might be faster than they appear”. It all started when a client of ours engaged us in a performance study regarding the impact of their Iframe tag on the pages of one of their clients. Their client was observing network times on the Iframe call that were quite high on an IE7 based performance monitoring service. We were able to reproduce the problem on the webpage with various tools like HTTPwatch, DynaTrace Ajax, Webpagetest, IE9 Developer tools, and even in the Catchpoint IE monitor. The performance numbers we observed made no sense! The response content of the Iframe URL was less than 1000 bytes (it fits in a single TCP packet), yet the tools were displaying 500ms+ for the time from the 1st byte to last byte of the HTTP Content. The only way this could happen is if there was something wrong at the TCP level and packets were fragmented and lost. To ensure it was not an issue at the TCP level, we utilized Wireshark to capture the TCP packets as we were monitoring the pages with the other tools and mapped the data from Wireshark to the metrics displayed in the tools. The data confirmed that the URL content was delivered always in a single packet and the URL response was less than 100ms. However, the monitoring tools built on top of IE still showed that 1st to last byte was 500ms or more for the same request! Clearly a new “blind spot” with IE! FWIW, the problem isn’t specific to iFrames. IE services network requests on it’s main thread (or synchronizes to it’s main thread) so if the main UI thread of the browser is busy, any network activity going on at that particular time can look like it took longer than it really did. It DID still take the browser that long to actually process the request but you could end up trying to solve the wrong problem if you only look at the waterfall. This also isn’t likely to be an IE-only phenomenon but should show up in any tools that are looking at the network traffic from the browser’s perspective. At some point I would like to mash the tcpdump data against the browser-level data to “fix-up” any network requests that look like this but it’s not very high on the priority list (and at some level you still care about when the browser actually processed things so I’m not sure yet how it should be represented in the UI). We ran the same tests with image tags and style tags, and we were unable to reproduce the issue on Internet Explorer with any of the tools. This does not mean that it does not exist, but maybe is less of an issue or hard to replicate the same scenario on the main browser thread. The issue also does not occur on Chrome with the Developer Tools, or if it does occur is in 1-10 milliseconds versus 100s of milliseconds. On Firefox with HTTPWatch we were able to replicate it if the iframe content was cached. The main reason for this article is inform users of such tools, including ours, that what they see in the tool is not always the network activity – and is impacted by other factors in the page. Therefore they shouldn’t be putting at fault the server behind the iframe just on a waterfall result – but take the time to confirm it is that iframe (either via testing iframe stand alone, or Dynatrace, or TCP Dump). Early versions of Firebug Net Panel and Speed Tracer had similar bugs where a long-executing (non-reliquishing) JS execution would produce network times that were too long. I found and reported bugs for those tools and others. But I’m surprised that this happened in tools that are not written in JS – like HTTPWatch and WebPagetest. I guess, tho, the issue is the same. IE is producing network events and the long JS execution is causing either the production of those network events or the consumption of same to be blocked. The fix in Firefox was to add the event epoch time to the event object data, so that it didn’t matter when the event was consumed. Interesting find. One saving grace is that hopefully web sites don’t have JS threads that execute for 2 seconds without relinquishing control. All JS developers should keep in mind that their JS should never execute for more than a few hundred milliseconds, and use callbacks to relinquish control. Screwy waterfall charts isn’t the worst side effect – that long-executing JS is also blocking all UI updates.